Michael R. Perri - Phillips Murrah P.C. 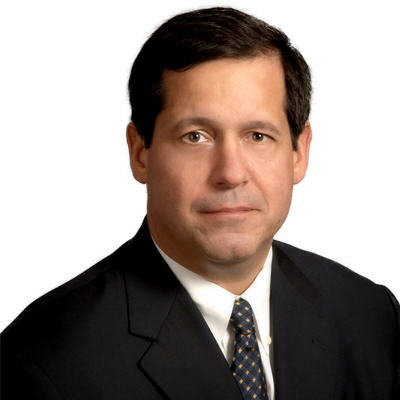 Michael R. Perri is a Director, litigation attorney and Co-Chair of the Energy and Natural Resources Practice Group. He has more than 25 years experience in representing companies in commercial litigation matters with an emphasis on energy and oil and gas matters. Mike is a Director and litigation attorney, Co-Chair of the Firm’s Energy and Natural Resources Practice Group and a member of the Firm’s Diversity Committee. Mike also previously served on the Firm’s Executive Management Committee and served as the Chair of the Firm’s Litigation Practice Group. He has more than 25 years’ experience in representing and advising both public and privately held companies in a broad range of commercial litigation matters, with an emphasis on matters involving energy, oil and gas, environmental, public utility, and water law. Mike’s experience includes dozens of breach of natural gas contract cases involving a wide range of contract and statutory construction issues, including the enforcement of pricing provisions; take provisions; take-or-pay provisions; dedication clauses; term provisions; drainage provisions; ratable take requirements; gas quality specification clauses; favored nations clauses; evergreen provisions; “commercial well” and “paying quantities” clauses; and “best efforts” clauses. He has also successfully defended or prosecuted complex oil and gas litigation claims involving drainage; royalties and accounting for post-production costs; propriety of intra-company sales; lease termination and title disputes; determination of payout; trade secrets disputes; gas balancing and oversold reserves; gas pipeline transportation, compression and dehydration charges; and breach of warranty and products liability relating to down-hole failure cases. Before joining Phillips Murrah in 2001, Mike practiced business litigation for 15 years with another well-established Oklahoma City law firm. Born in New York City in 1961, Mike was raised with his two brothers and three sisters primarily in Seaford, Delaware, and Oklahoma City. After graduating high school in Birmingham, Alabama, Mike attended Notre Dame as an accounting undergraduate and the University of Oklahoma Law School, becoming one of the few people he knows who supports both the Irish and the Sooners. Mike lives in Oklahoma City with his wife, Cathy, and son, Davis. He enjoys high school and collegiate athletics, watching old movies, swimming, cooking, and reading about American History. Successfully defended a client against claims totaling $32 million alleging tortuous breach of dozens of natural gas sales agreements, bad faith administration of such contracts, fraud, and punitive damages.